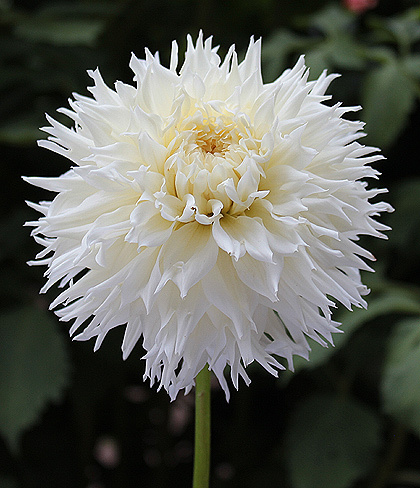 This is the winningest BB sized dahlia in the 2014 ADS Seedling Bench Evaluation competition. Developed by Chris Dix of Walnut Creek, CA. The blooms have great substance and very consistent frilly laciniations. This will be a great show flower as well as adding interesting texture to your garden.